Identify parts of the discrete trial. Explain the rationale for using discrete trials. Identify prompts needed for a discrete trial. 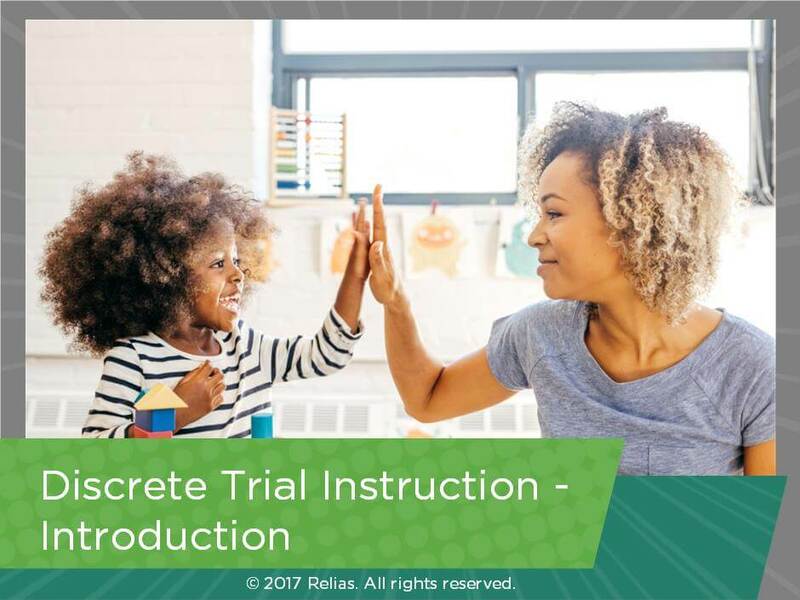 Identify reinforcement techniques for discrete trials. The target audience for this course is: Registered Behavior Technician; in the following settings: Intellectual Developmental Disabilities.